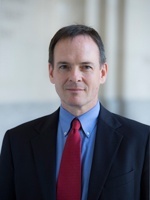 Robert Daly is the Director of the Kissinger Institute on China and the United States at the Woodrow Wilson Center. Mr. Daly began work in U.S.-China relations as a diplomat with the United States Information Agency from 1989 to 1991, after which he taught Chinese at Cornell. From 1992 to 1999 he worked on television projects in China as a host, actor, and writer, and helped to produce Chinese-language versions of Sesame Street and other Children’s Television Workshop programs. During that same period he directed the Syracuse University China seminar and served as a commentator on U.S.-China relations and Chinese affairs for several U.S. and Chinese media outlets. From 2001 to 2007 he was American Director of the Johns Hopkins University-Nanjing University Center for Chinese and American Studies. And later he was director of the Maryland China Initiative at the University of Maryland.